On the way home from school yesterday I stopped at a local independent bookstore in downtown Naperville. Downtown was bustling with activity and I waited patiently in line to purchase my books – Truce, Shooting at the Stars, and The white House is Burning: August 24, 1814 as well as to get B’s wristband for the author visit Monday, 41‘s author will be speaking and signing books and B had purchased two copies to be signed. Very cool. 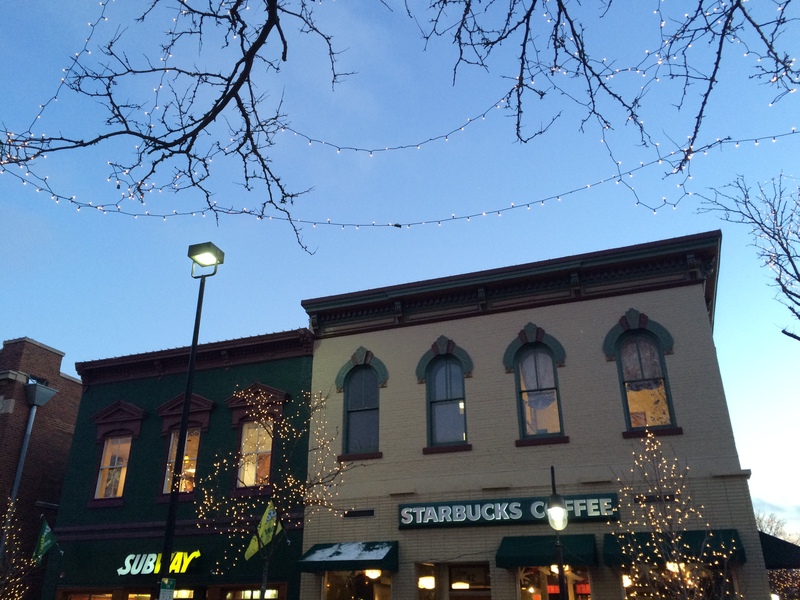 Downtown Naperville is a busy place. It has local merchants as well as the big guys – Barnes and Noble, Williams Sonoma, and Starbucks all nestled in mostly older buildings with new construction and updated storefronts along city streets just wide enough for street parking and two lanes of traffic. The sidewalks are usually crowded with shoppers and yesterday was no different. As I left, I looked around – up and down and stopped to notice the buildings and there intricate moldings and brickwork along their roof lines. Such lovely structures dating back to the early twentieth century. It was a lovely day and the blue sky and bright sun finished the scene. It felt wonderful to be outside and breathe the cool late fall air, even though it felt more like the dead of winter. Tomorrow is Thanksgiving here in America and the holiday shopping season begins the following day. Tuesday afternoon the shoppers weren’t waiting, they were making their days count – early and often. I have much for which to be thankful, Thank you for following along, reading, commenting, liking, and helping me Make the Days Count. Making the Days Count is my angle, what’s yours? Ingrid – thank you so much. I have been following your adventures in south Texas, but flitting more like a butterfly than a blogger friend. I laughed and giggled when I read the post about the Boy Scouts and Goliad State Park – once upon a time I could have been one of those Boy Scouts. i am thankful for our friendship – have a wonderful day and enjoy your Thanksgiving. Thank you Margaret. We all have angles or bends, so to speak. The turkey is roasting and filling the house with the smell of Thanksgiving. I am thankful for our friendship – have a wonderful day. Love the viewpoint of these pics. 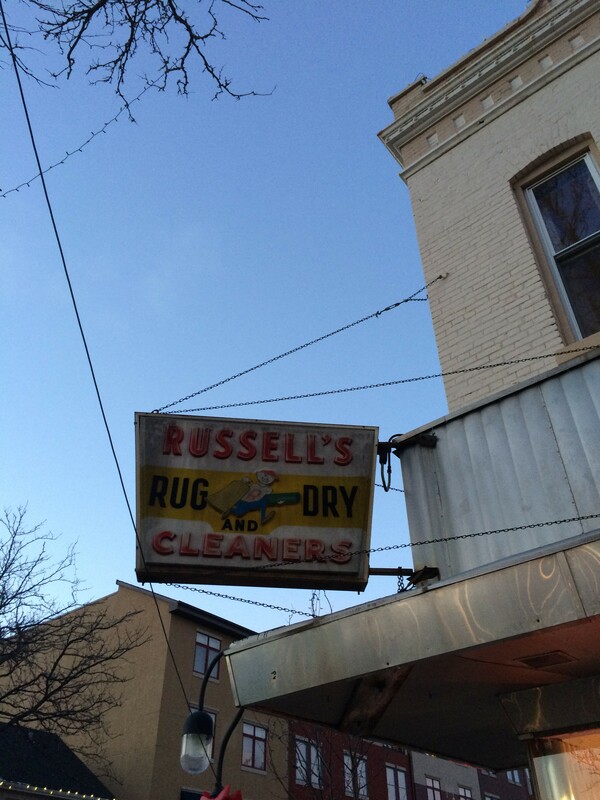 Also love the old school signs like Russell’s. Cool. Phil, thank you for stopping by. 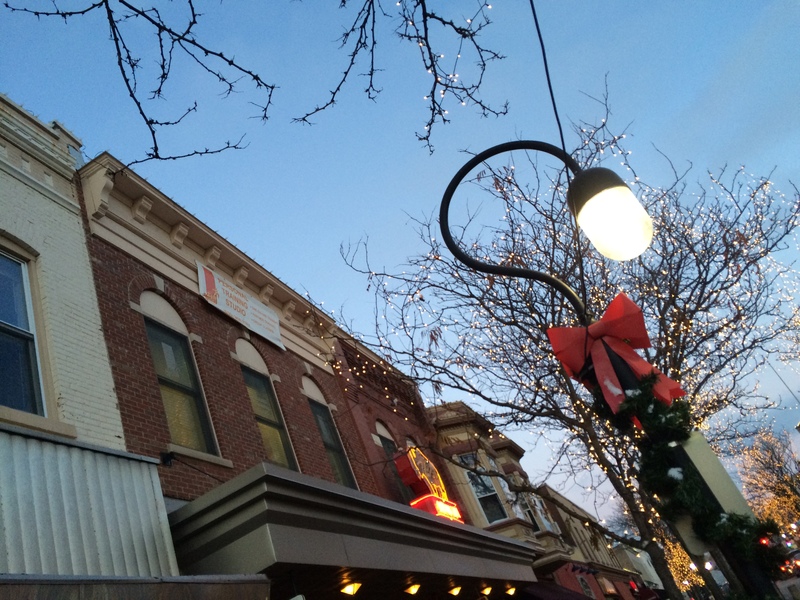 Downtown Naperville is pretty cool with its buildings and overall feel. I stopped to take a look around and was inspired – the photos came out well. I am thankful for your friendship – stay well and enjoy the day with your family and friends. My angle is pretty similar to yours, Clay! Coleen – thank you so much for your friendship. I am truly thankful. have a wonderful day.